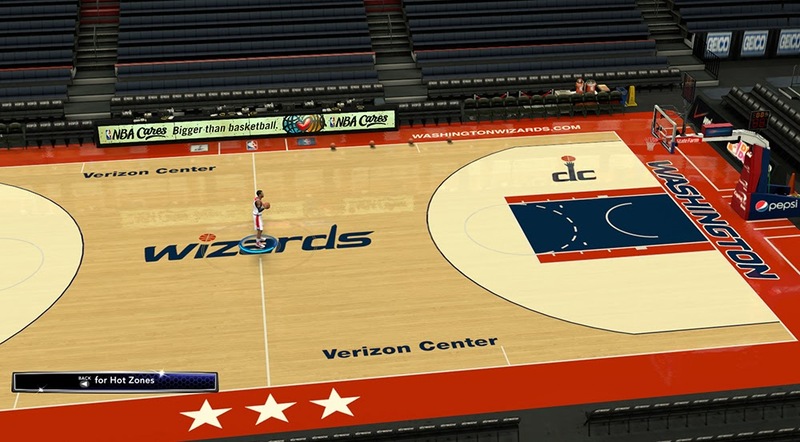 Description: This patch updates the Verizon Center arena in NBA 2K14, to match the actual 2013-14 court of the Washington Wizards. 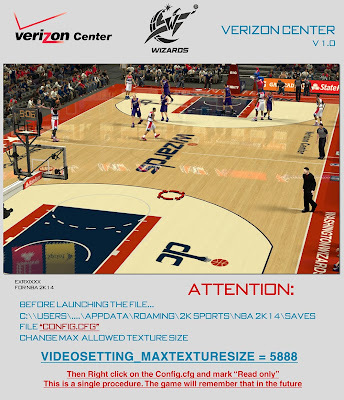 Go to NBA 2K14 Saves folder, right-click the Config.cfg then open it with notepad (Edit). 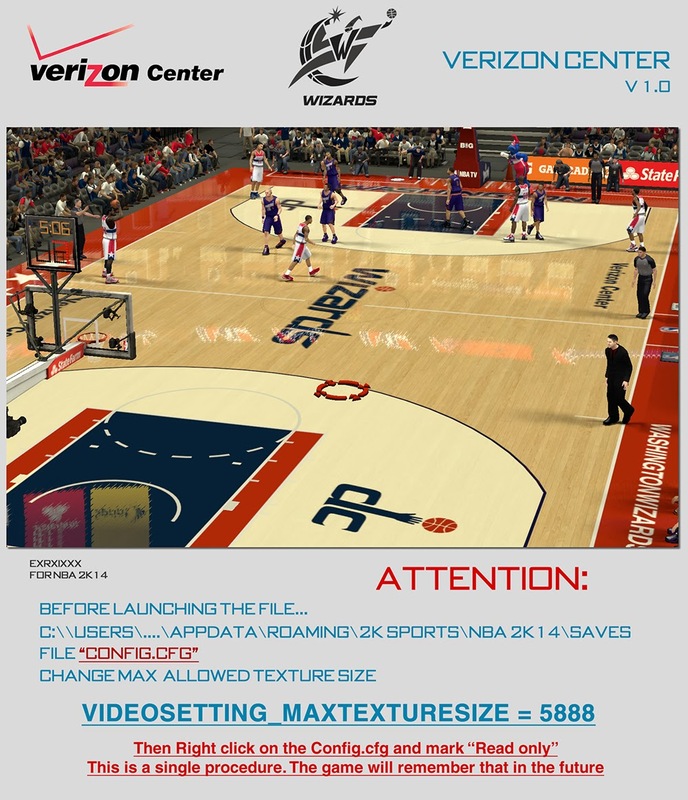 Look for "VIDEOSETTING_MAXTEXTURESIZE = 4096" and change the value to 5888.